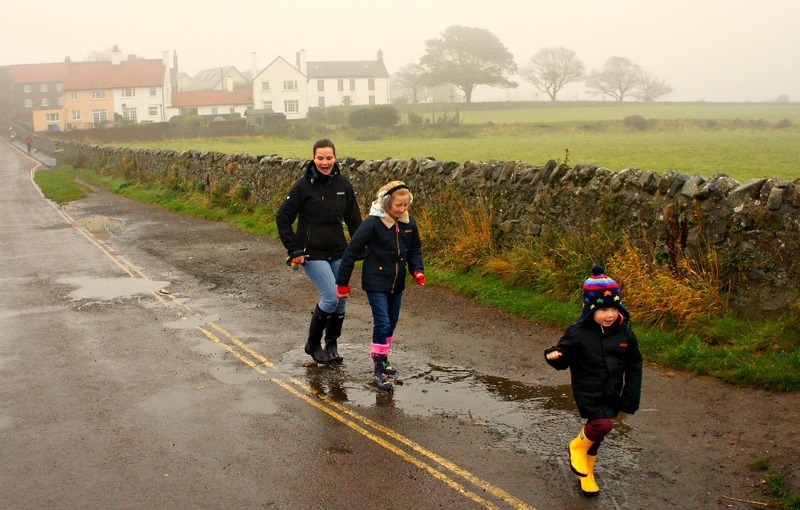 Our misty half term trip to Holy Island, Lindisfarne Castle and Bamburgh Castle - Plus Regatta competition for the whole family! 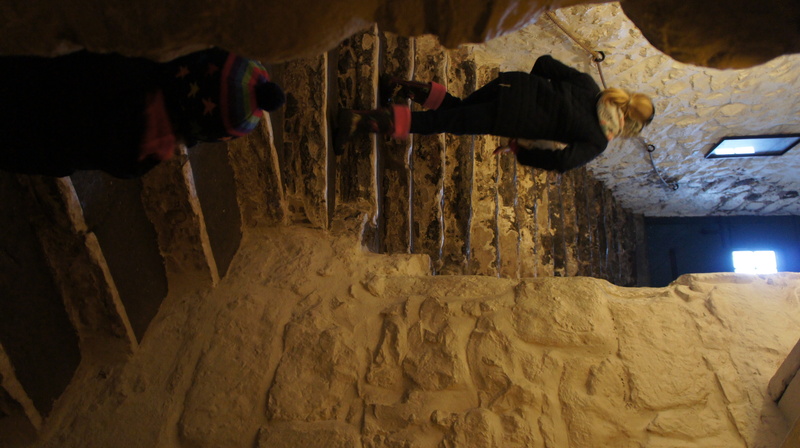 Halfterm meant only one thing in the Mums’ Days household – castle hunting! Cue eye rolling from Gabriella who really does think she’s had enough (despite loving them while we’re there!). 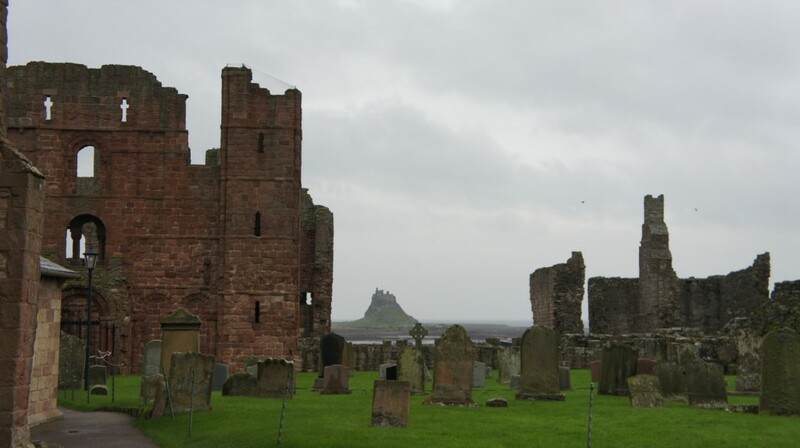 And our destination this time was up the Northumberland Coast to Bamburgh Castle and, on Holy Island, the National Trust’s Lindisfarne Castle. The weather was terrible, but because we had our wonderful Regatta jackets it really didn’t matter. 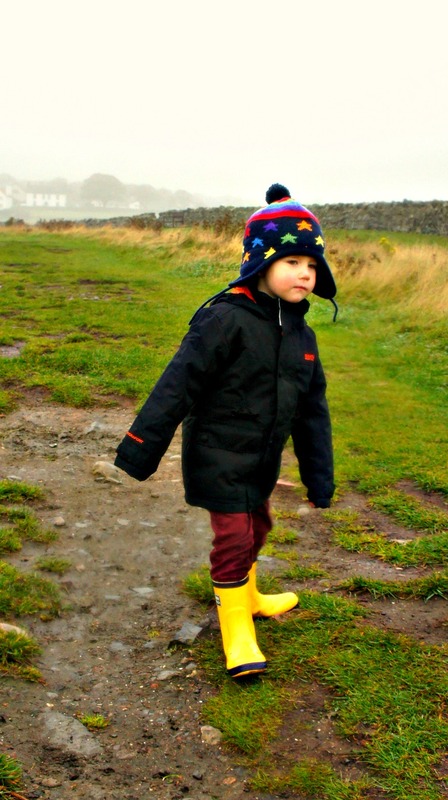 There’s no such thing as bad weather, just the wrong clothes, right?! If you would like to win jackets for your family, please scroll down to the bottom of this (rather epic) post! 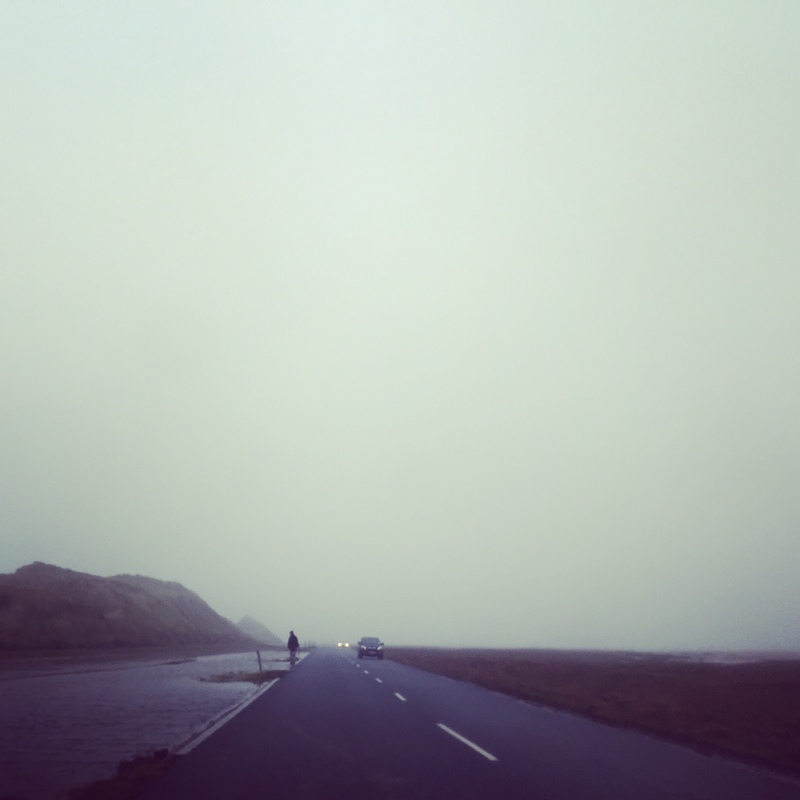 Unfortunately, on Wednesday when we made our speedy way up to Holy Island before the causeway closed (the Holy Island crossing is famous for drives not paying attention to the safe crossing times and getting stranded as the tides quickly rise! ), the fog was the thickest I’ve seen it in a long time. That didn’t seem to be putting the punters off as Holy Island was a busy as every, a Mecca of the north for history buffs and tourists alike. 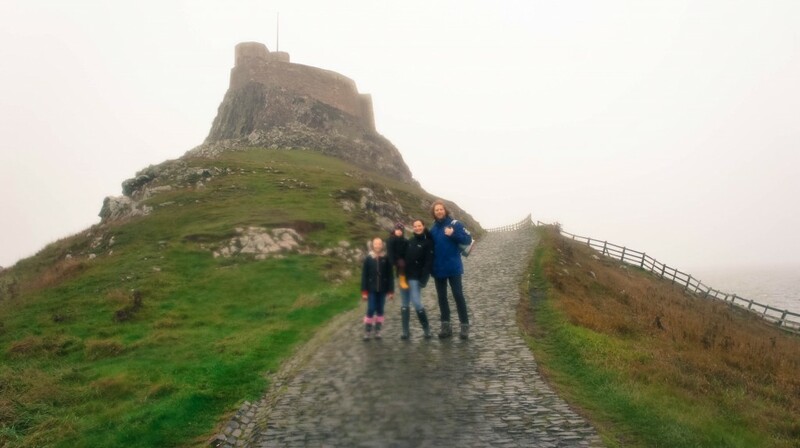 We made it in good time, and after a bacon sandwich stop at our hotel, The Manor House Hotel, we set off on the 1 mile walk to Lindisfarne Castle with a rather reluctant toddler. But by the time we found a few puddles to jump, we all cheered up immensely. And as the castle started to emerge out of the mist, it looked stunning. Thanks to a lost lens cap, my camera became less and less useful – the air was thick with water. Not that it bothered us in our lovely Regatta Coats! The castle itself is built in an improbable place at the top of a bunch of rocks. It looks truly spectacular and completely exposed to the elements out here in the North Sea. A 16th Century former fort, Lindisfarne Castle’s current state is how it was left by Edward Hudson, founder of Country Life Magazine. Back in 1901 Hudson found Lindisfarne Castle whilst on holiday. 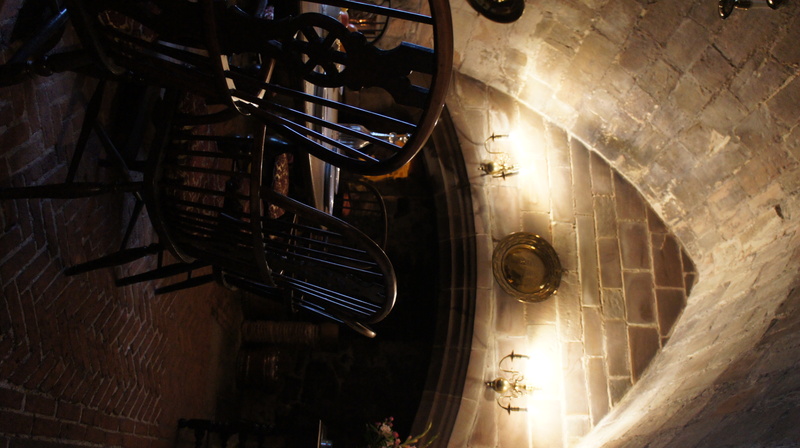 He bought it and turned it in to a spectacular holiday home, which enjoyed guests including Peter Pan author, J.M. Barrie and war poet, Siegfried Sassoon! 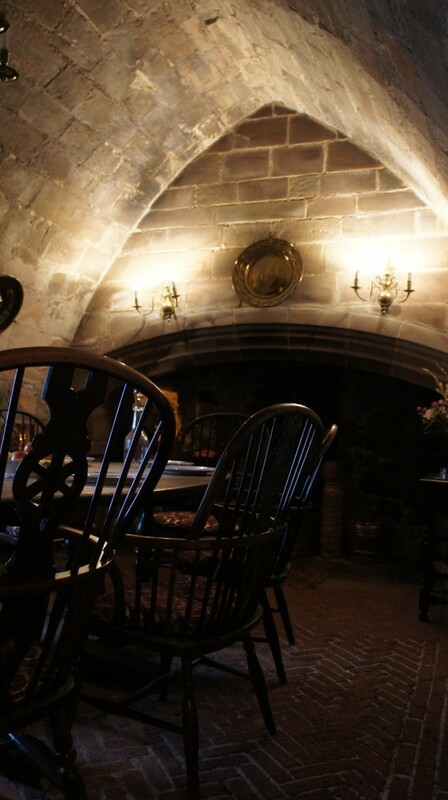 The majority of the wonderful furniture and decor in the building remain and the nooks, crannies and cosy spots has made this one of my all time favourite castles! 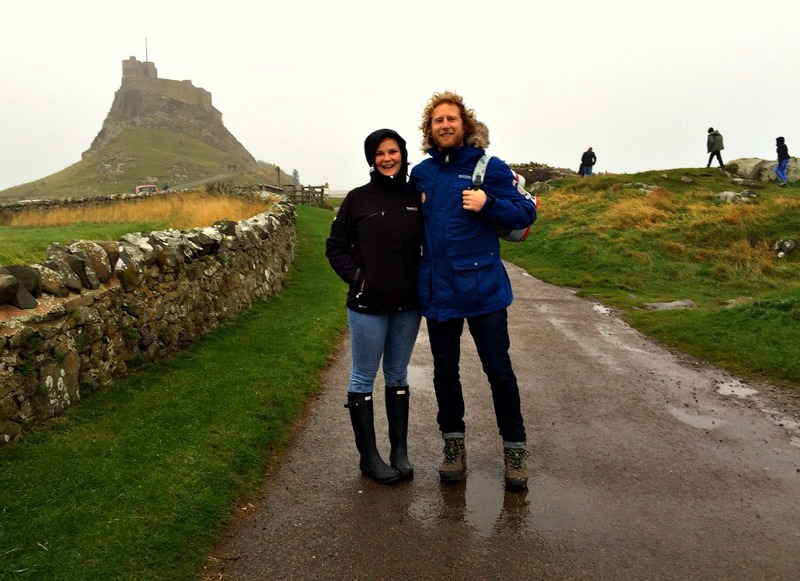 We thoroughly enjoyed our walk back from the castle, despite the weather getting darker and closing in, and we made it back to the hotel just as the rain came – there’s something so lovely about getting a bit soaking then settling in to your island hotel/pub. After a hot shower, Gabby and I even played Monopoly! We’re laughing here because a woman who kindly offered to take our photo was being dragged around by her dog, who also jumped up and put mud all over my jeans! The next morning the weather picked up significantly and we were able to appreciate the view down to the Castle from the hotel and the Priory next door. On a good day we would have been able to see Bamburgh Castle, which was our next port of call. By the time we reached Bamburgh Castle the heavens opened. 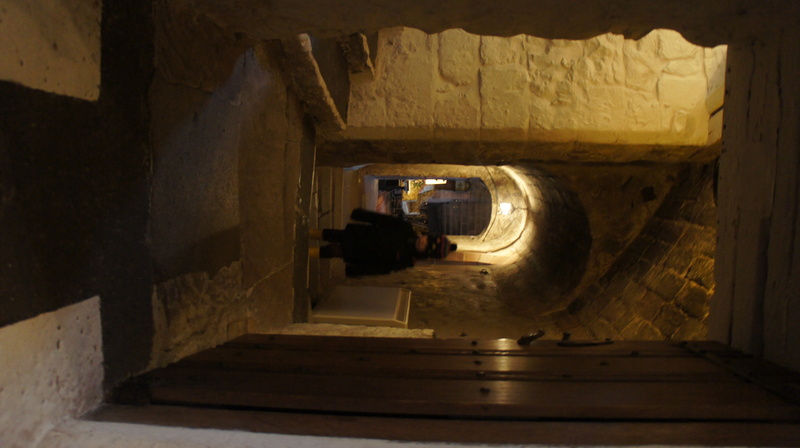 Thank goodness this was a castle with a roof! We quickly made our way down to the museum where Reuben played with his car on the ramps and Gabby got to work on her activity pack. 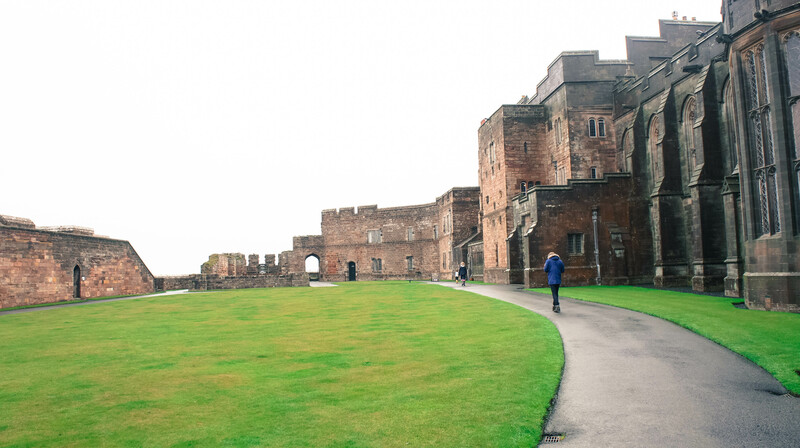 We were able to enjoy learning about Lord Armstrong, who rebuilt the castle in his spare time whilst simultaneously playing a significant part in the Industrial Revolution with his incredible inventions. 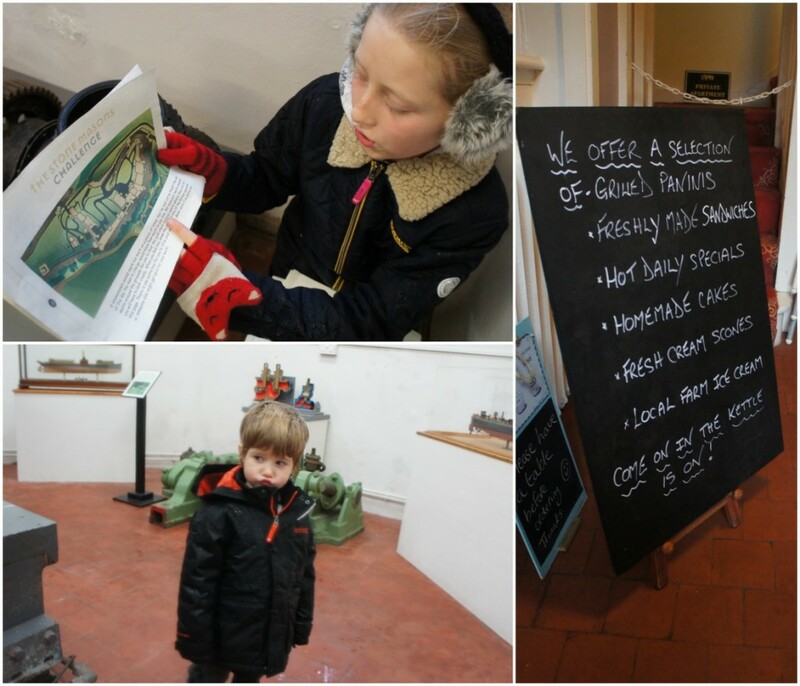 Then, like every other visitor, made our way to a very busy tea room full of soggy people! 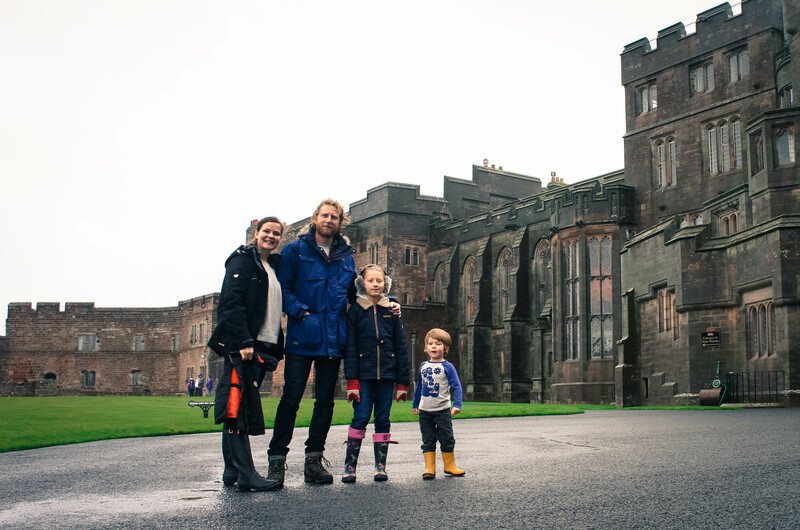 After a delicious cheese scone and a coffee, there was a break in the weather and we made our move to the main part of the castle. The castle is huge! I knew it was as it’s such a distinctive part of the Bamburgh coastline, but it’s not until you’re inside that you can appreciate the sheer volume of castle. 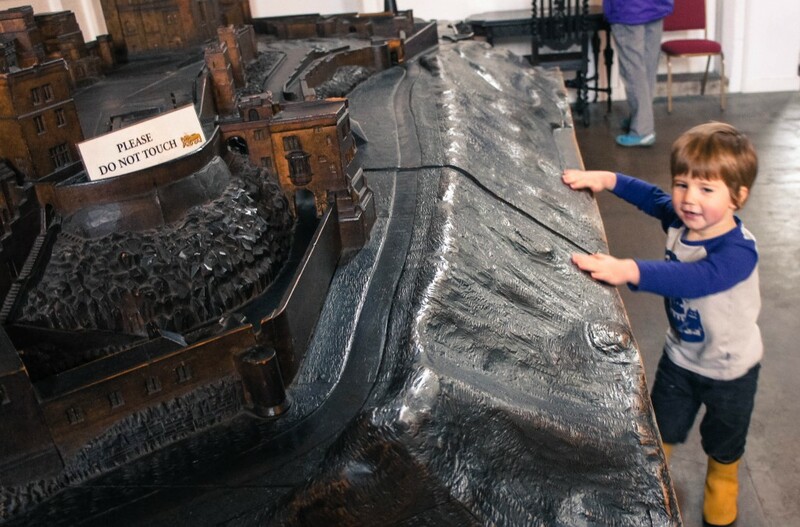 The history of the castle is also pretty huge! The former capital of Northumbria, Bamburgh has evidence of occupants for over 10,000 years. 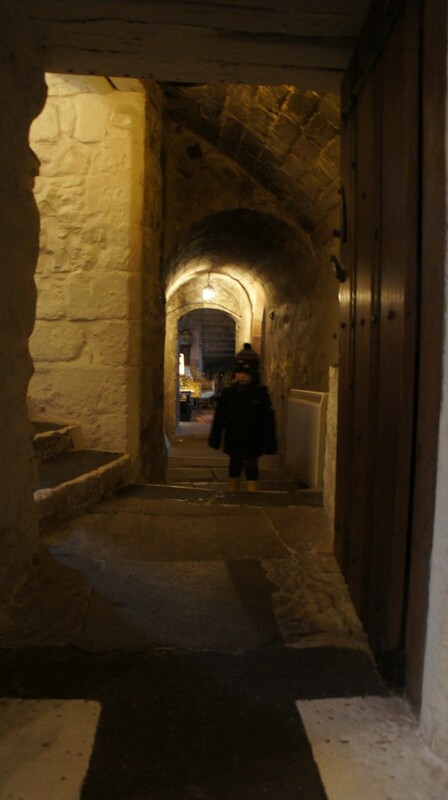 The Castle itself dates back to 547 and Anglo Saxon England. Back then Northumbria was the most powerful of the 7 kingdoms (Game of Thrones anyone?) 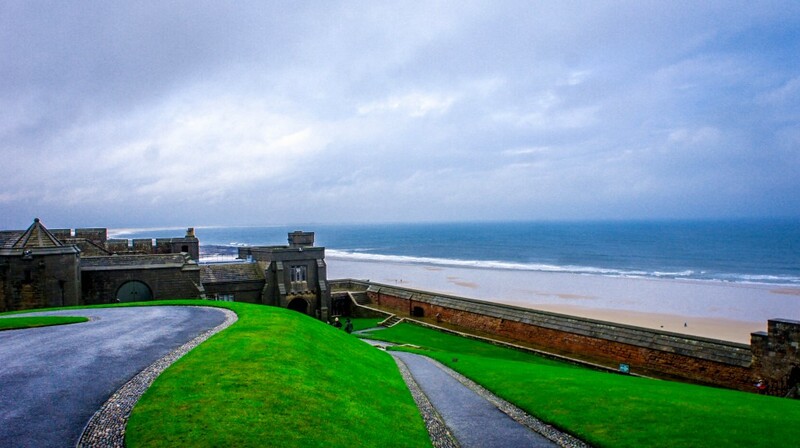 and the Kings chose Bamburgh as their Royal Capital. 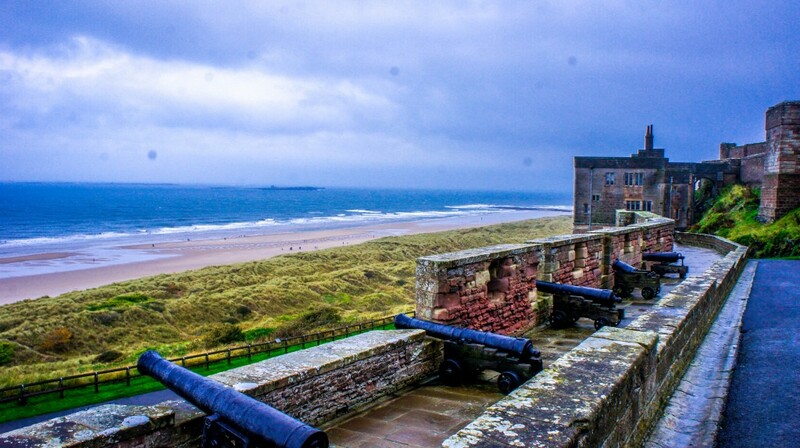 As a result, Bamburgh Castle has seen a lot of bloodshed, from rival kingdoms in the 700s, to the Vikings in 900s, to William the Conquoror and the takeover by the Normans in 1066 and on. It was a busy place! There is loads to see and loads to not touch if you’re a toddler. 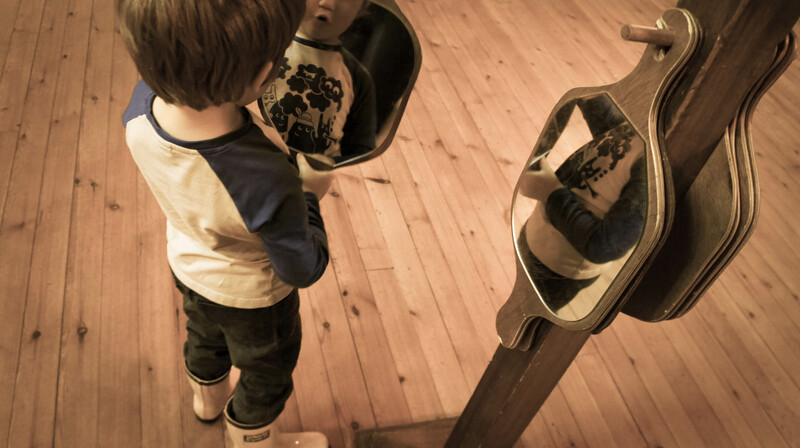 It was a bit exhausting trying to prevent Reuben from touching or siting on precious and irreplaceable artefacts, but there was lots of space to explore (with legs and eyes, not hands!) and Gabby loved it, continuing to enjoy the rubbings activity pack. Mirrors to look at the ceiling in the King’s Hall. After our trip to Bamburgh Castle we were due to go to Seahouses to take a boat trip to see the seal pups, but due to the terrible weather that was cancelled. We enjoyed fish and chips instead. Hard times! 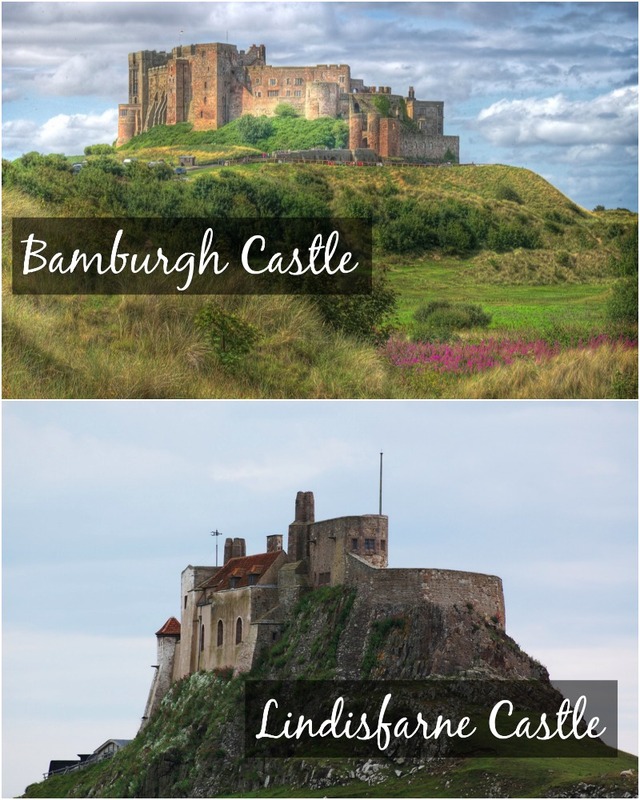 Have you been up the coast to see Bamburgh Castle or Holy Island? I’d love to hear about your trip. 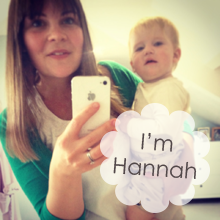 Do comment below or come and chat over on the Mums’ Days Facebook Page! 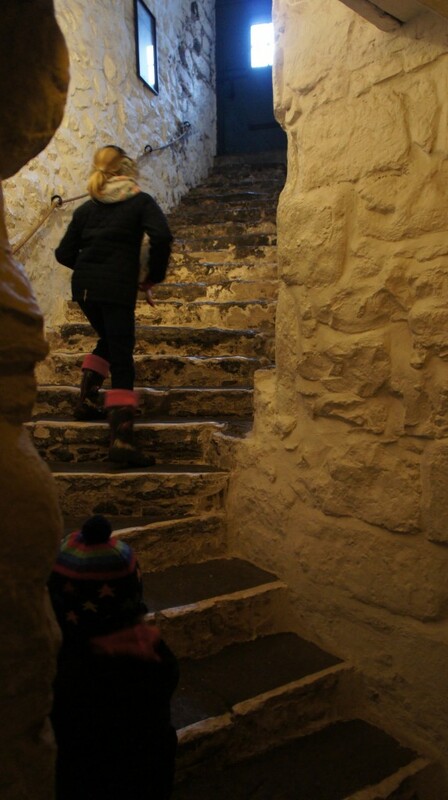 Lindisfarne Castle is open fortnightly at weekends throughout November, then closed for the rest of the year. Details here. 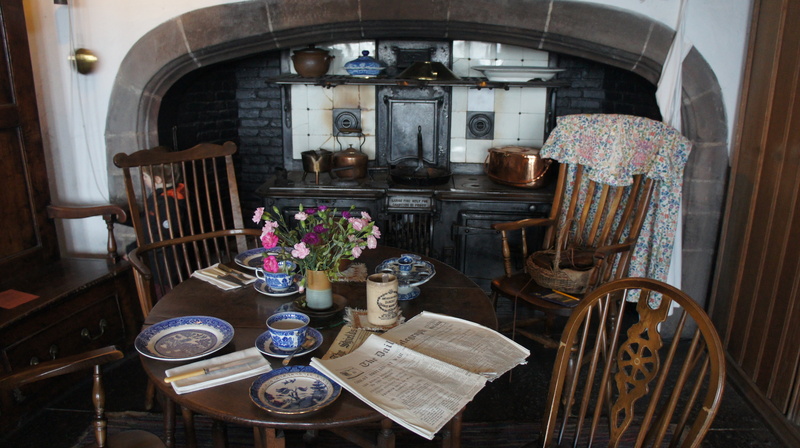 Bamburgh Castle is open at weekends throughout the winter and some additional days over Christmas and New Year, all times are on the website. For our trip we were all wearing Regatta jackets to keep us cosy and dry! 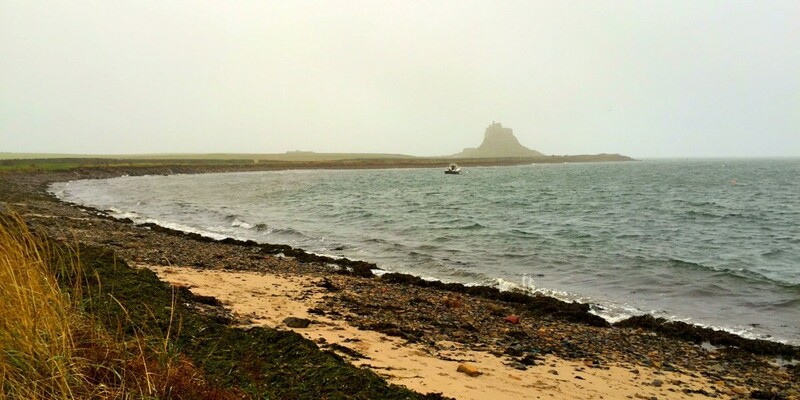 *Source of top images of Bamburgh Castle and Lindisfarne Castle – Image licence here. ** Terms and Conditions apply – see rafflecopter for details. Never been to this area but it is on my bucket list as they say! 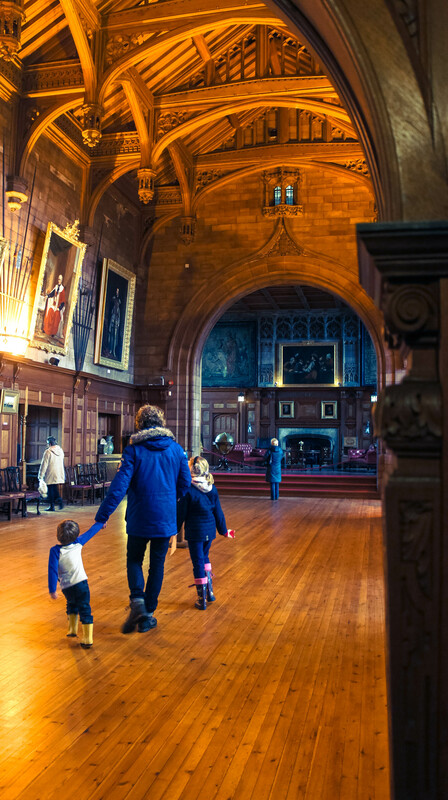 Your pictures are fabulous, I love the hall with that beautiful wooden ceiling. Love a good castle. Lindisfarne has been on my wishlist for years. Looks like you all had a great time. 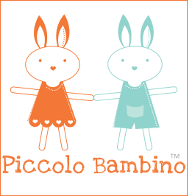 Great giveaway too – keeping my fingers crossed! 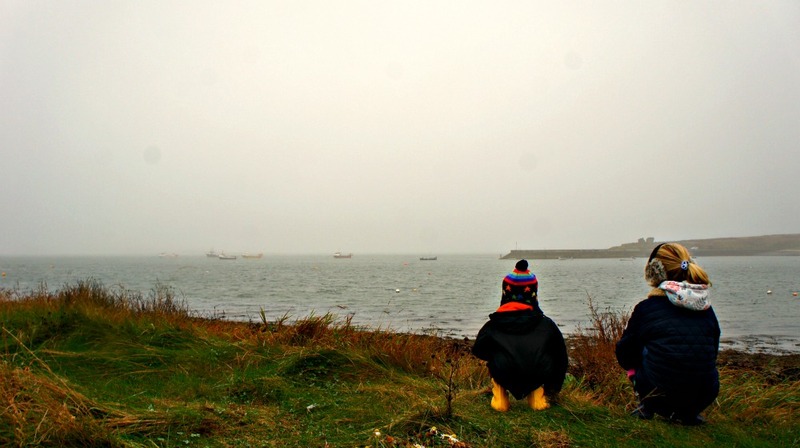 I love Holy Island but it is many years since I was there.